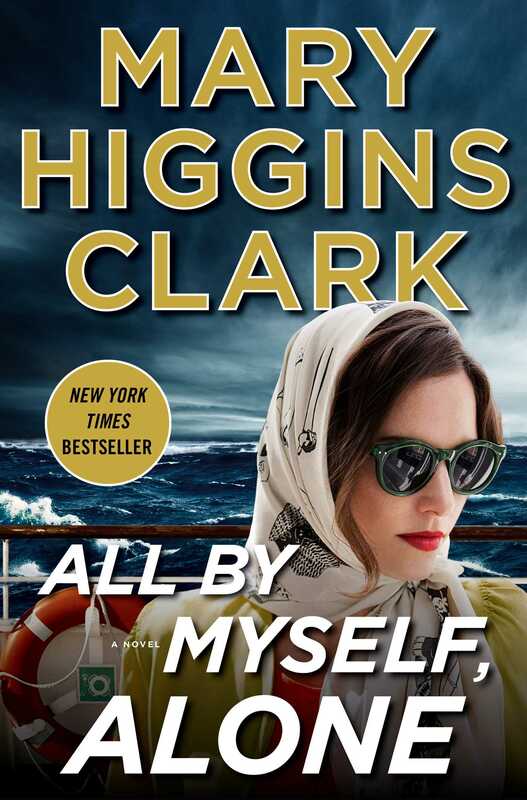 A glamorous cruise on a luxurious ocean liner turns deadly in the latest mystery from “Queen of Suspense” and #1 New York Times bestselling author Mary Higgins Clark. Fleeing a disastrous and humiliating arrest of her husband-to-be on the eve of their wedding, Celia Kilbride, a gems and jewelry expert, hopes to escape from public attention by lecturing on a brand-new cruise ship—the Queen Charlotte. On board she meets eighty-six-year-old Lady Emily Haywood, “Lady Em,” as she is known throughout the world. Immensely wealthy, Lady Em is the owner of a priceless emerald necklace that she intends to leave to the Smithsonian after the cruise. Three days out to sea Lady Em is found dead—and the necklace is missing. Is it the work of her apparently devoted assistant, Brenda Martin, or her lawyer-executor, Roger Pearson, and his wife, Yvonne, both of whom she had invited to join them on the cruise? Or is it Professor Henry Longworth, an acclaimed Shakespeare scholar who is lecturing on board? Or Alan Davidson, a guest on the ship who is planning to spread his wife’s ashes at sea? The list of suspects is large and growing. Celia, with the help of her new friends Willy and Alvirah Meehan, who are celebrating their forty-fifth wedding anniversary, sets out to find the killer, not realizing that she has put herself in mortal danger before the ship reaches its final destination. Never, in all her long career as a #1 bestselling suspense novelist, has Mary Higgins Clark been in better form. The magnificent cruise liner Queen Charlotte was about to leave on her maiden voyage from her berth on the Hudson River. Promised to be the epitome of luxury, she was compared to both the first Queen Mary and even the Titanic, which had been the height of luxury one hundred years earlier. One by one the passengers filed aboard, checked in and were invited to the Grand Lounge, where they were met by white-gloved waiters offering champagne. When the last guest had come aboard, Captain Fairfax gave a speech of welcome. “We promise you the most elegant voyage you have ever or will ever encounter,” he said, his British accent adding even more luster to his words. “You will find your suites furnished in the grand tradition of those of the most magnificent ocean liners of yesteryear. Queen Charlotte was constructed to accommodate precisely one hundred guests. Our eighty-five crew members are committed to serving you in every possible way. The entertainment will be worthy of Broadway, Carnegie Hall and the Metropolitan Opera. There will be a wide range of lectures to choose from. Our presenters include celebrity authors, former diplomats, and experts on Shakespeare and gemology. The finest chefs from around the globe will conduct farm-to-table cooking presentations. And we know that cruising is thirsty business. To remedy this hardship, there will be a series of wine tastings hosted by renowned connoisseurs. In keeping with the spirit of this cruise, one day there will be a lecture from the book of Emily Post, the legendary social arbiter of a century ago, illuminating the delightful manners of the past. These are only a few of the many activities you may choose from. “In closing, the menus have been chosen from the recipes of the finest chefs the world over. Now, once again, welcome to your new home for the next six days. Gregory Morrison, a stout, ruddy-faced, silver-haired man stepped forward. There was a smattering of applause, then people turned to their nearest fellow passengers and began to chat. Alvirah and Willy Meehan, celebrating their forty-fifth wedding anniversary, were relishing their great fortune. Before they won the lottery, she had been cleaning houses and he had been repairing overflowing toilets and broken pipes. Thirty-four-year-old Ted Cavanaugh accepted a glass of champagne and looked around. He recognized some of the people on board, the chairmen of General Electric and Goldman Sachs, several Hollywood A-list couples. Ted recognized the name of the retired ambassador to France. “No, I am a lawyer, but a good part of my practice is devoted to recovering antiques and artifacts that have been stolen from their countries of origin.” What he did not say was that his specific reason for being on this voyage was to meet Lady Emily Haywood and persuade her to return her famed Cleopatra emerald necklace to its rightful owners, the people of Egypt. Professor Henry Longworth overheard the conversation and leaned in closer to hear the exchanges better, his eyes sparkling with interest. He had been invited aboard as a lecturer. A renowned expert on Shakespeare, his presentations, which always included renditions of passages, never failed to delight his audiences. A medium-sized man in his sixties, with thinning hair, he was a sought-after speaker on cruises and at colleges. Devon Michaelson stood a short distance apart from the other guests. He had no need or desire for the banal small talk that was the inevitable result of strangers meeting for the first time. Like Professor Longworth, he was in his early sixties with no outstanding height or remarkable facial features. Also standing by herself was twenty-eight-year-old Celia Kilbride. Tall, with black hair and sapphire-blue eyes, she did not notice, nor would she have cared about, the admiring glances that were cast at her by her fellow passengers. The first stop on the round-the-world voyage would be Southampton, England. That was where she would disembark. Like Professor Longworth she was an invited lecturer on the ship. A gemologist, her subject would be the history of famous jewels through the ages. The most excited passenger in the room was fifty-six-year-old divorcée Anna DeMille of Kansas, who had been the grand-prize winner of this trip in a church-sponsored raffle. Her dyed black hair and matching eyebrows were bold against her thin face and body. Her prayer was that this would be her opportunity to meet Mr. Right. Why not? she asked herself. I won the raffle. Maybe this is finally going to be my year. Eighty-six-year-old Lady Emily Haywood, famed for her wealth and philanthropy, was attended by the guests she had invited: Brenda Martin, her assistant and companion over the last twenty years, Roger Pearson, who was both her investment manager and the executor of her estate, and Roger’s wife Yvonne. When interviewed about the cruise, Lady Emily had stated that she intended to bring her legendary Cleopatra emerald necklace and wear it in public for the first time. As the passengers began to disperse, wishing each other “Bon voyage,” they could not know that at least one of them would not reach Southampton alive.